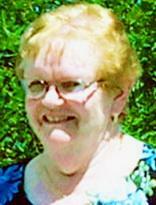 WATERLOO — Paula C. Abbott, 68, of Waterloo, died Friday, July 2, at Cedar Valley Hospice Home of cancer. She was born Nov. 14, 1941, in Waterloo, daughter of Paul and Claudia Stout Losee. She married Vernon W. Abbott June 11, 1960, in Waterloo. Mrs. Abbott graduated from Waterloo East High School in 1960. She had been an Avon representative for 25 years and also assisted her husband with their company, Abbott Trenching. Survived by: her husband; three daughters, Vernetta (Timm) Jensen of Dunkerton, Lynn (Ed) Albert and Annette (Larry) Tyler, both of Waterloo; a son, William of Waterloo; eight grandchildren, Zachary (Jocelyn) Jensen, Michele Berry, Michael, Tyler and Devon Albert, and Destiny, Chance and Hope Abbott. Preceded in death by: her parents; an infant sister, Pauline; and infant brother, Michael Losee. Services: 10:30 a.m. Thursday at Lighthouse Fellowship Church, with burial in Garden of Memories Cemetery. Public visitation from 3:30 to 6:30 p.m. Wednesday at Locke Funeral Home.